Combine everything in a food processor and process until smooth, adjusting the oil to create consistency that you like. The hummus can also be thinned with water. Add salt and pepper to taste and hot pepper if you like things a little spicy. Good served with toasted pita bread or as a dip with corn chips. This is also really good as a sandwich spread. great recipe! 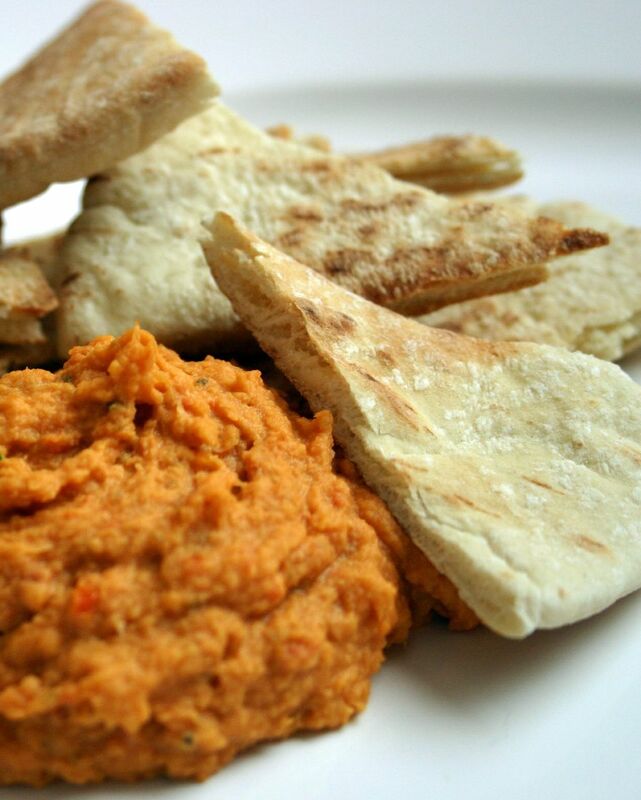 i love making hummus, its such and 'omni-food'... great with everything! and lovely image. Beautiful photos. Just discovered your blog while visiting the Inadvertant Gardener site, and I love it! Thanks. Thanks everyone! Connie, if you have great hummus recipes, make sure to pass them along ;-) Steph, nice to hear from you! Let me know if you try it. I made it when Penny and Robert were here and we all LOVED it! Hi Nicole I love Hummus. I have all the ingredients but got one doubt? I never use thaini so do I need to refrigerate after opening or leave it on room temperature? Hi Nicole I just finished making hummus and it also tasted it with baby carrots:).... its taste's sooooooo good. thankq sooo much for wonderful and simple recipe.will post the pic's as soon as I can. Can't wait! I love hummus & use it inplace of mayo since i have dietary restrictions to egg. It works great on wraps as well & helps hold it inplace. My favorite is roasted red pepper hummus. Would you include a receipe for this also? Just made this... it was delicious! I added a couple cloves of garlic, and waited until the very end to add the tomatoes.. this left them more on the chunky and chewy side--so good! Thanks for the fantastic recipe! I made this for a friend who's been looking for the perfect sun-dried tomato hummus for three years. He was very pleased with the results!